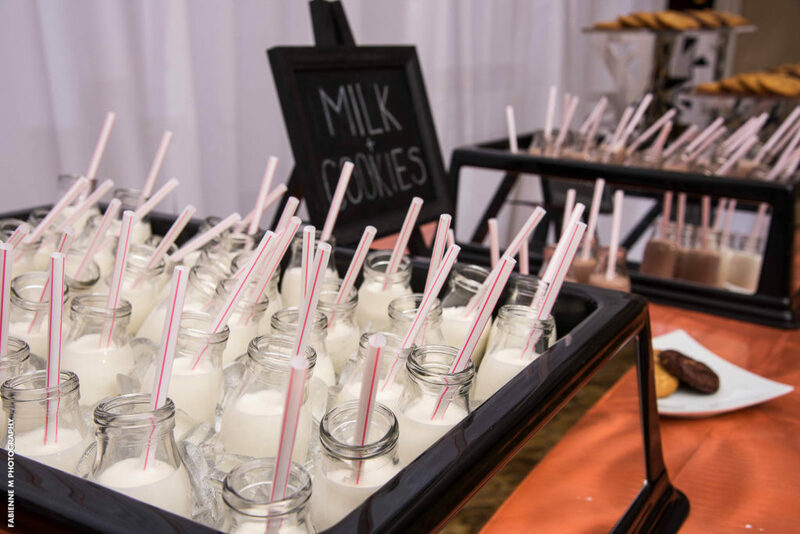 Tap into your “inner child” by opting for a sweet treat like the Milk and Cookies Station. 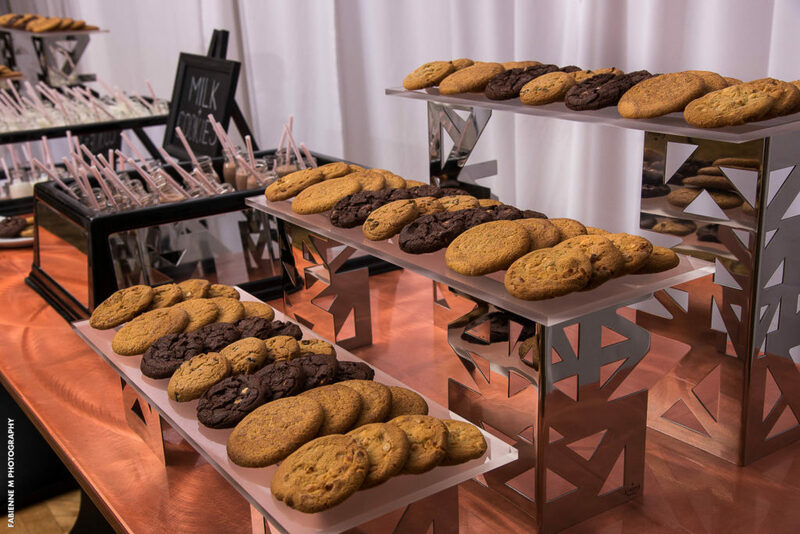 Appropriate for all age groups, your wedding reception guests will swoon over the cookie flavors: chocolate chip, double chocolate chip, white chocolate macadamia nut, oatmeal raisin, and old fashioned sugar cookies. 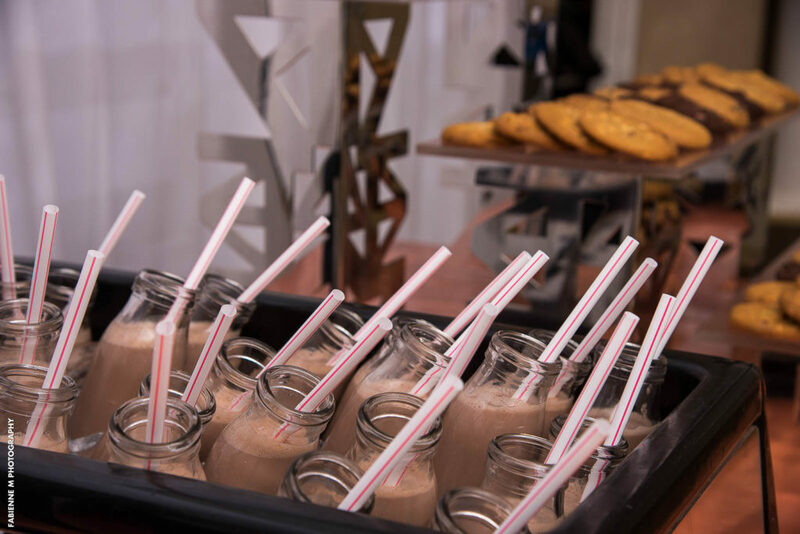 Grab a milk, chocolate milk, or strawberry milk served in a vintage glass and you’re ready for anything. 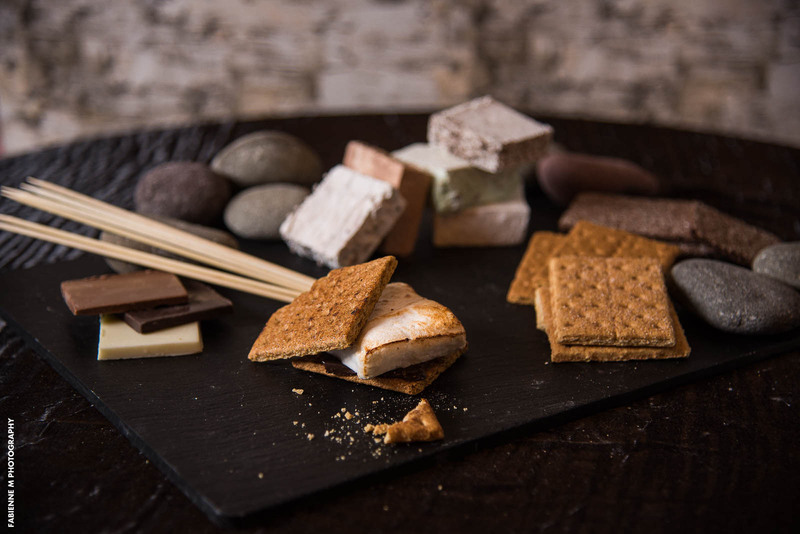 If you enjoy the rich, chocolatey, goodness of warm marshmallows, chocolate, and gram crackers, you’re going to love the S’more Love Station. Enjoy gourmet flavored square marshmallows in cookies and cream, coconut, mocha, mint, chocolate chip, and strawberry. 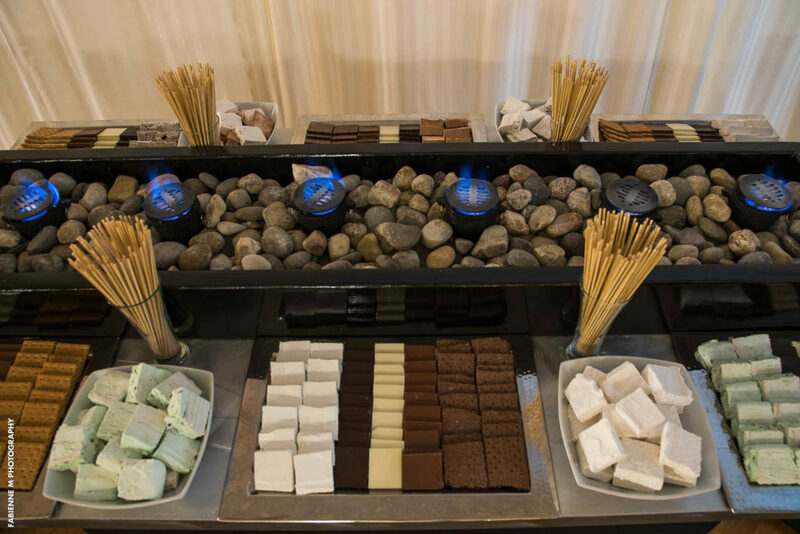 The station is complete with your choice of white, milk, or dark chocolate and open flames to toast your marshmallows just the way you like them. This is a huge hit among wedding reception guests. I scream, you scream, who doesn’t scream for ice cream? 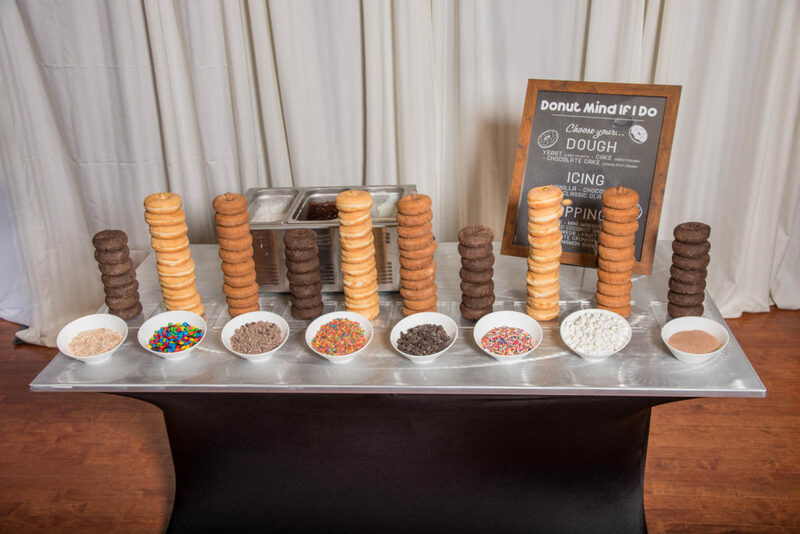 If you enjoy creating your ice cream treats, this station is just right for your wedding reception. 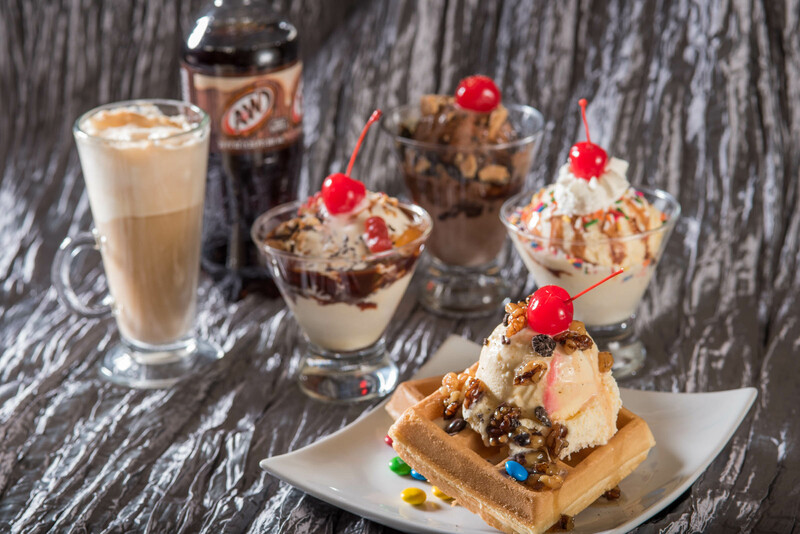 It is packed with sweet goodness like A&W root beer floats, warm Belgian waffles, chocolate and vanilla ice cream, and a host of terrific toppings. 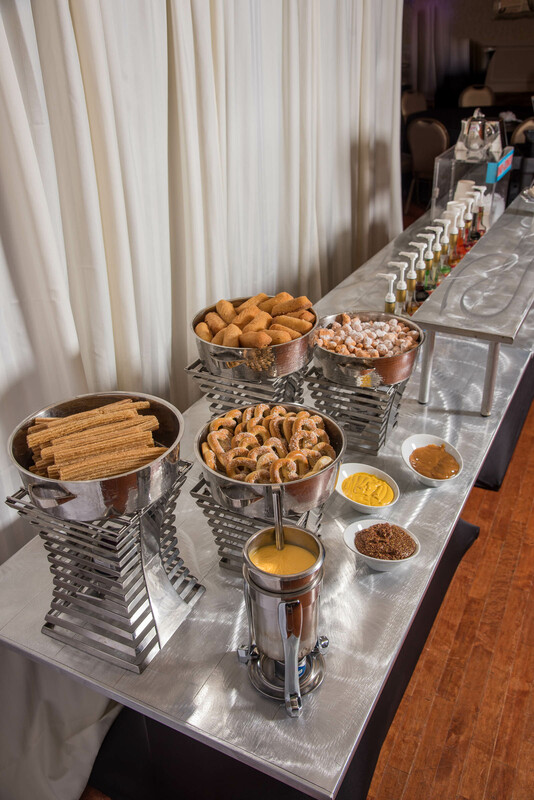 If you enjoy the decadent treats found at your local carnivals, then you’ll love this station we created as a way to enhance your wedding reception. 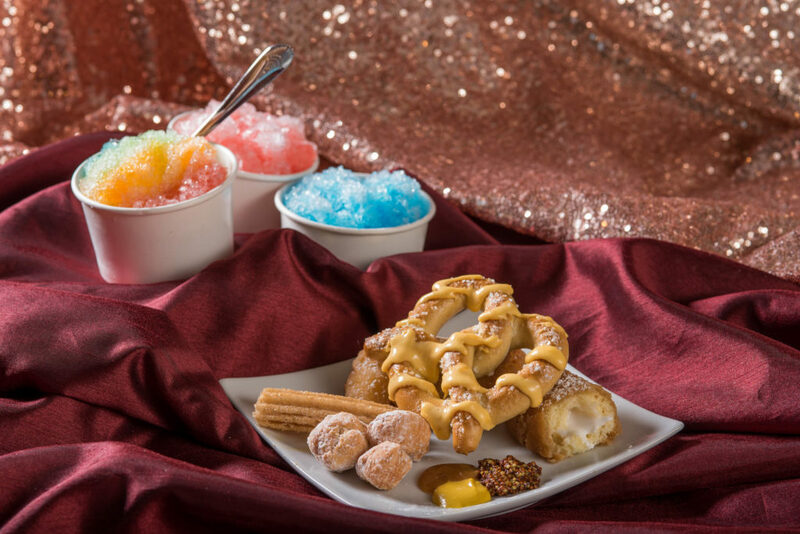 Carnival confections includes everything from zeppole and snow cones, to soft pretzels and churros. 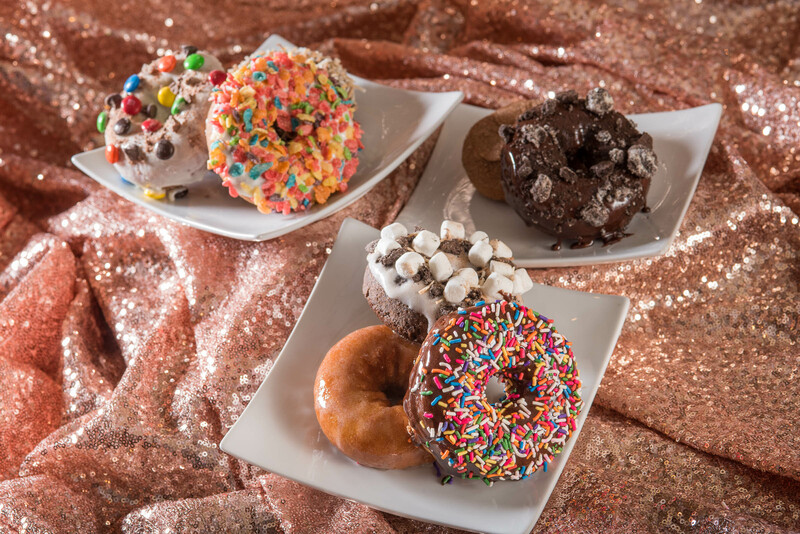 Don’t forget to leave room for the fried Twinkies! crumbled Oreos, Fruity Pebbles, chocolate crunch, M&M’s, and cinnamon sugar. 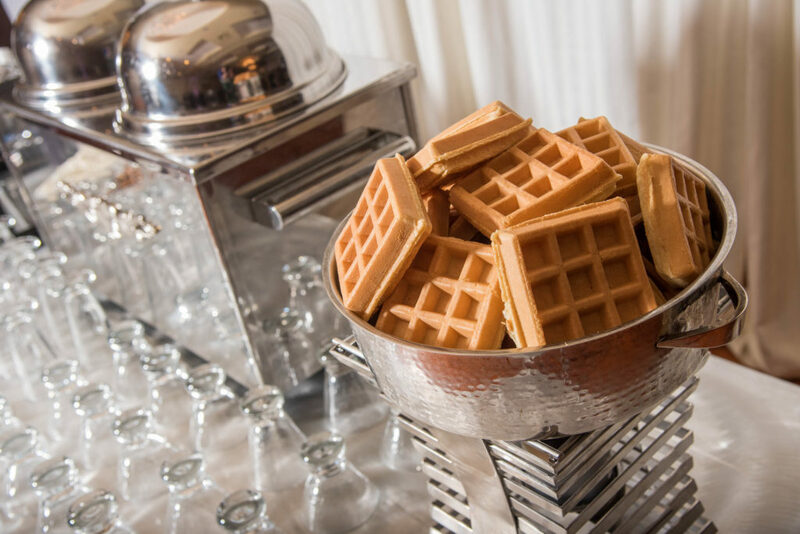 There are a ton of sweet treats you can choose as your wedding reception dessert besides the wedding cake to satisfy that sweet tooth. 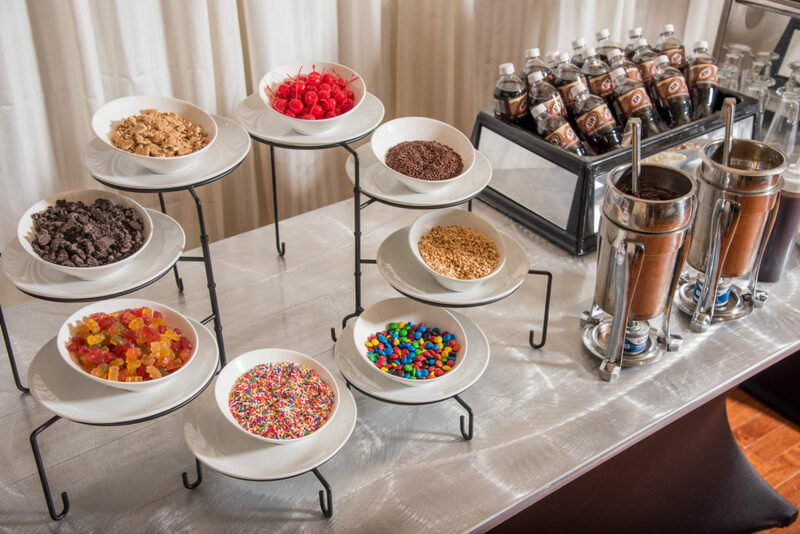 Do any of these dessert stations tickle your fancy? This is just the tip of the iceberg when it comes to making your wedding reception stand out.